When Detective Sime Mackenzie boards a light aircraft at Montreal's St. Hubert airfield, he does so without looking back. For Sime, the 850 mile journey ahead represents an opportunity to escape the bitter blend of loneliness and regret that has come to characterise his life in the city. Travelling as part of an eight-officer investigation team, Sime's destination lies in the Gulf of St. Lawrence. Only two kilometres wide and three long, Entry Island is home to a population of around 130 inhabitants - the wealthiest of which has just been discovered murdered in his home. The investigation itself appears little more than a formality. The evidence points to a crime of passion, with the victim's wife the vengeful culprit. 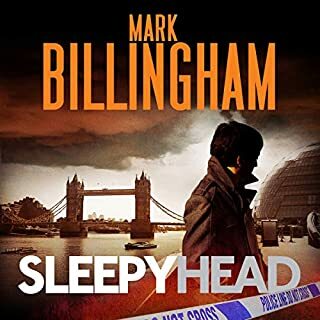 But for Sime the investigation is turned on its head when he comes face to face with the prime suspect and is convinced that he knows her - even though they have never met. Haunted by this certainty, his insomnia becomes punctuated by dreams of a distant past on a Scottish island 3,000 miles away. Dreams in which the widow plays a leading role. Sime's conviction becomes an obsession. 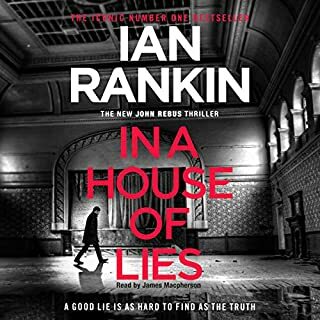 And in spite of mounting evidence of her guilt, he finds himself convinced of her innocence, leading to a conflict between the professional duty he must fulfil and the personal destiny that awaits him. Well written enjoyable book. very gripping at times. The flashbacks are the best part. Worth a listen. If you could sum up Entry Island in three words, what would they be? What other book might you compare Entry Island to, and why? At times the ancient Sime made me think of Jamie Fraser from the Outlander series with the first person narrative providing a rich background of Highland life, the clearances, and the journey to a new land as an immigrant. Just brilliant. My favourite scenes were those depicted in the diary; life as a tenant under the laird, the hunting of the stag, the journey in steerage, and especially the allocating of lands by lot. Such a wealth of interesting history enmeshed in a beautiful story. My uncle Bob, a Mackenzie, hailed from Lewis and its wonderful to hear stories of his part of Scotland. Oh yes. I listened to it in the car, in bed and every spare moment I could find. 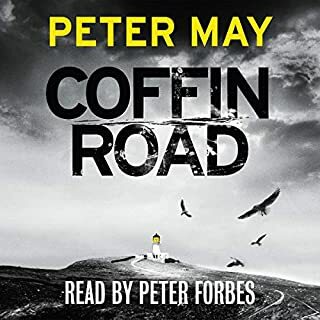 A warm thanks once again to both Peter May and Peter Forbes for a brilliant partnership of writing and delivery. Would love to hear more of Sime McKenzie. This book had me searching the internet for more history of both the Hebridean islands and early immigration to Canada. Normally a reader of crime fiction this book did this and so much more. 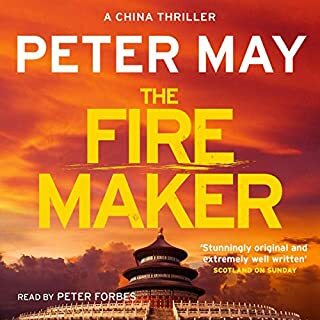 A great read and I will now go and look for more Peter May books. 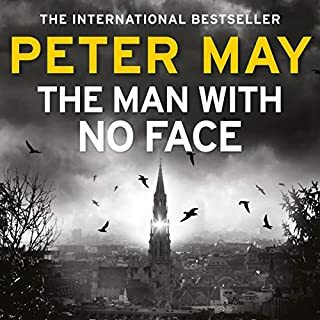 Have enjoyed all of Peter May books and the narrative is excellent. I knew little of Canadian history so found this very interesting. excellent narrating in multiple accents very entertaining, even if the ending was just a little predictable. I could barely pause to sleep! The characters come alive pulling you into their livea. Fabulous - enjoyed every minute! I absolutely loved this book! 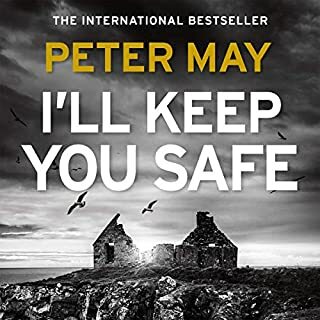 Peter May is currently my favourite author as he brings to life the people , places and history he writes about while his plots are always fascinating and I can never work out who did the crime (as I often can with other authors). I shed a few tears in the reading of this book - the characters are so well written and so alive that I felt their pain and feel as if I had known them. I appreciated that all the loose ends were tied at the end of the book so I wasn’t left wondering what happened to this or that character. 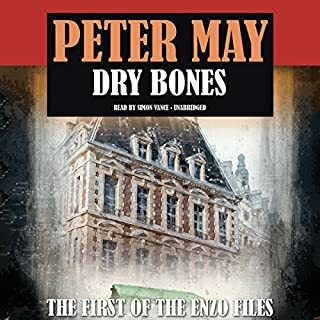 Can’t wait for the next Peter May book to come out! Thoroughly enjoyed the link between present & past, which was obviously so well researched. Most enjoyable! What about Peter Forbes’s performance did you like? I loved Peter Forbes's depiction of the different characters through his voice. The different accents for the different characters really helped bring the story to life! I have never heard such wonderful narration in an audio book - I will be looking for other books narrated by Mr. Forbes. Intriguing story. I thought it was going to be a fantasy-time travel story, with the main character's connection to his great-great-great grandfather. Great combination of historical fiction, mystery, and romance. 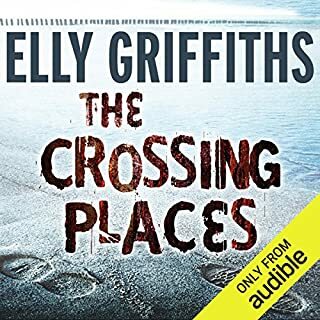 I hope to find more books like this on Audible.com. A fitting read as Remembrance Day approaches! Stop and look around at our beloved country. This book will reaffirm the struggles, determination, pride and the hell that was wrought by our ancestors to provide a decent life for their family. Bless them and remember their contribution to what we have now. Yes, great narration with all the accents! Which character – as performed by Peter Forbes – was your favorite? I nearly missed the real ending, thinking the story was over. Oops unexpected tidy up. Before I review this book, I think we should get the question styled reviews outlawed, this is not a book club, like this review if u agree! Great book, great characters, different storyline and I'd read again gladly. 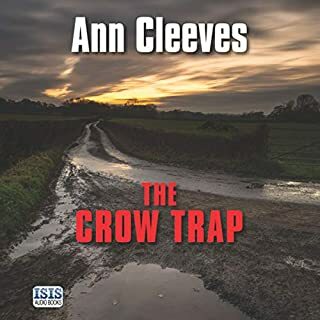 This cleverly written novel goes back and forth between two story lines; a murder set in the present day and how the detective's ancestors are linked with the victim's wife. This book had me hooked from the start and I must have finished it in less than five sittings. 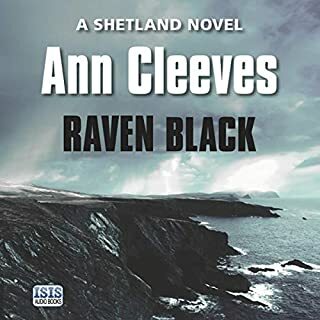 I loved how the author came up with the history of the ancestors to the main police officer, insomniac and Scottish born Sime Mckenzie, and how this re;lated to a recent murder on the mysterious and desolate Entry Island. It had me hooked and guessing and I was pleasantly surprised with the ending. 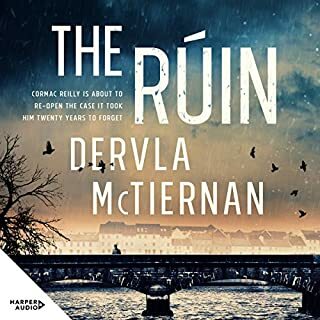 Sometimes the ending can be a disappointment when the story has been built up throughout the book with so many possible outcomes, but I was very pleased in this case and I would recommend this book to anyone! I am so glad that I listened to this book rather than read it. Peter Forbes is excellent at portraying the characters and evoking the mood of the time. On the frigid Canadian prairie where the wind chills went to -50c this past week, it made for perfect listening. A profoundly moving book that brings to life what horrors must have been endured during the Highland clearances and also as waves of Scots made their forced voyage to Canada. 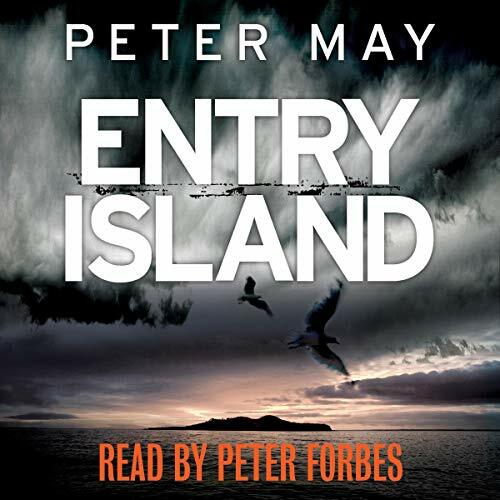 Where does Entry Island rank among all the audiobooks you’ve listened to so far? 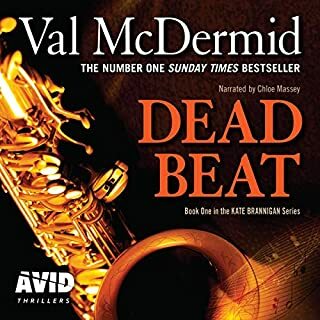 Definitely in my top five listens, it was one of those books which had me wondering about the characters even when I wasn't listening and couldn't wait to get back to it each day. The Killing which also had me gripped from the start. Everything, his accents were believable, each character was so easy to identify, one of the best narrations I have listened to. 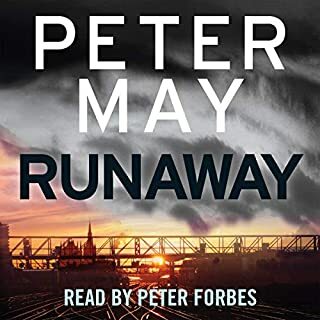 A poor narrator can occasionally spoil an otherwise good listen but Peter Forbes was exceptionally good and I will look forward to his reading again. Not really no, just a thoroughly enjoyable tale. I was really surprised to see one very negative comment published, for me anyway this is probably the best book for 2013. Having read the most excellent Blackhouse, The Lewis Man and the Chess Men trilogy I thought I would give this a go as it's by the same author. He did not disappoint I loved this. I could listen to this narrator forever his accents are phenomenal. The story is based on the terrible injustice suffered by the people in the north of Scotland after the Highland Clearances their voyages by sea to settle far from home in Canada and what happened thereafter. 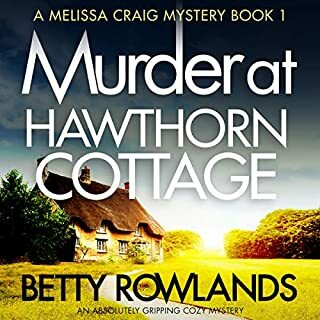 You can't go wrong with this author - could you just hurry up and write some more as I have to keep re reading these books! I can't stand these "Question" style reviews. This is NOT a reading group. After reading the Lewis trilogy, I acquired all of Peter May's books, and have almost read them all. This book is just as well written as the others, and the plot is OK. But for some reason, it lacked the intensity of the others. Still worth reading though. Narrator was excellent. 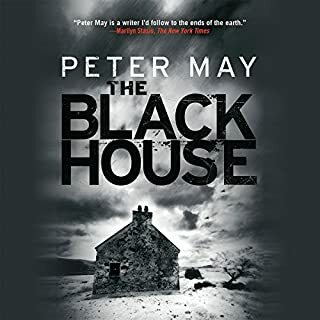 If you've listened to/read Peter May's Lewis trilogy you'll know how the author can create a powerful atmosphere as a backdrop to a story. 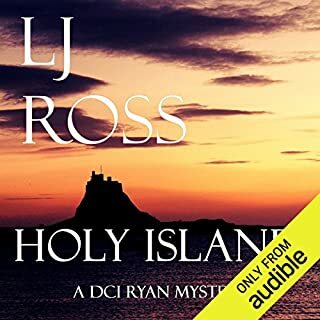 Entry Island starts as a modern crime story set in a sparsely populated French-speaking island but then the narrative switches back and forth to the time of the Highland clearances in the Western Isles. 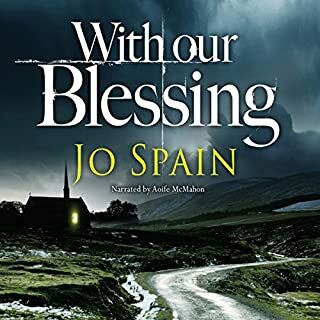 Gradually parallels between the two main characters in Canada and two in the 19thC Scotland emerge underlined by them having the same names, which does slightly confuse at times, though the narrator helps a lot by changing from Canadian to Scottish accents. It's a book that gets better as one gets drawn into the atmosphere of the islands and the lives of the people. Melancholy pervades the book: the modern characters through failed relationships and the earlier generation struggling against the weather, isolation, poverty and injustice. The sections dealing with the cruelties of the Highland Clearances are particularly grim. 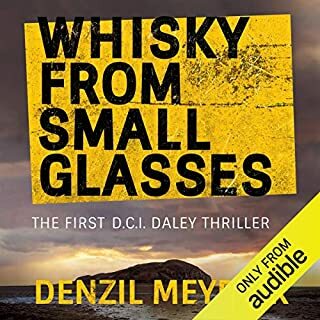 Though not a happy book it is well worth listening to as it is not just another crime story but a multi-layered novel combining history, geography and vicissitudes of human experience. The location - Bleak, depressing and yet barely adequately described. The main character - bleak, depressing and essentially devoid of any emotion. He can't sleep due to a chronic disorder, and we are reminded of this every page or so. The 'whodunnit' part - By far the biggest disappointment, no actual detective work gets done, instead we get a few interviews where nothing is achieved other than meekly asking the suspects where they were (most of them lie or omit details anyway, rendering these scenes pointless). The only reason the crime is solved is because the perp actually attacks the detective near the end of the book. Literally not a single clue is investigated and nobody seems to care. The flashback/diary story - even more depressing and bleak. Lots of tales of persecution, class discrimination and a very unconvincing story of young lovers split apart. These parts take up more text than the main story, and yet are utterly predictable. Oh and it of course ends in the most depressing way. Supporting characters - usually you can rely on the supporting detectives to add some humour here... but no. The modern day police are spiteful, dull and again lack any moral character as well as being incapable of doing their jobs. The ex wife is particularly odious. Nobody who lives on the island offer any sort of relief either. In the diary scenes, the most entertaining character is brutally stabbed to death for no apparent reason. Because you know, there wasn't enough tragedy already. Summary : Police investigate a crime very badly, everyone is miserable and so is the Island the crime was committed on. Main character follows his hunch in a sleep deprived state and stumbles across the answer without any skill or insight. This is punctuated by very long historical sections explaining that everyone related to the main character has had a crap life and that tragedy lurks at every turn. Avoid this book if you want a proper crime thriller or something with at least an ounce of happiness. What could Peter May have done to make this a more enjoyable book for you? Very close to the Bob Skinner series! The mental pictures of the couontry side, both on the Isle of Lewis and on the Entry Island in Canada brought back powerful memories of our visits to both places in our younger days!It does take a wee while to "get into the story" but, it is well worth it! Sime Mackenzie both the detective and the historical figure with the same name is my favourite character. The scene we most enjoyed was the sailing ship at the Glasgow docks in the 1800s, where the two young people were running away, to make a new life together. We could "see" the bustling crowds and "hear" the sounds of a busy port. By the end, it was one of the few books which we intended to listen to again, in one sitting to make sure we didn't miss anything! Our start was a little bit here and a little bit there - which made it a bit disjointed as the story moved from the past to the present. The characters came to life in the reading by Peter Forbes. Scottish, Canadian, Gaelic, men, women and children were all seamlessly woven together as the fabric of the story! I LOVED this book - both the story and the fantastic narration. When's the next one coming out? What made the experience of listening to Entry Island the most enjoyable? Really enjoyed the past and future intertwining, was done very well good atmosphere and well paced. Felt like you moved quickly and easily across continents and centuries with intelligent narrative and a beautifully painted picture of each area. Yes listened to it very quickly, disappointed it was over.